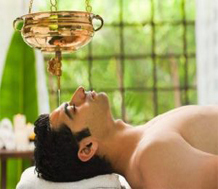 Shirodhara is a form of Ayurveda therapy that involves gently pouring liquids over the forehead and can be one of the steps involved in Panchakarma. The name comes from the Sanskrit words shiro (head) and dhara (flow). 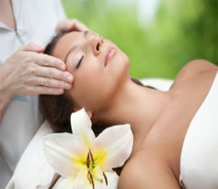 In Normal Oil massage herbs and essential oils are used to improve the blood circulation and relieve stress. Certain aliments related to muscles, ligaments and nervous system can be completely healed through this massage. It also helps to create more clarity and regenerate the mind and body activity for better functioning. Aromatherapy is the practice of using the natural oils extracted from flowers, bark, stems, leaves, roots or other parts of a plant to enhance psychological and physical well-being. The inhaled aroma from these “essential” oils is widely believed to stimulate brain function. Swedish massage is comprised of five basic strokes and their variations effleurage petrissage, friction, tapotement or percussion and vibration. The many benefits of Swedish massage may include generalized relaxation, Dissolution of scar tissue adhesions and improved circulation which may speed healing and reduce swelling from injury. In Nepali culture when a baby is born, every mother gives massage for her child 2-3 times a day regularly until 2-3 years. For this massage mixed of 116 kinds of herbs and essence oil are mixed which makes body healthy and strong. Heated, smooth stones are placed on certain points on the body to warm loosed tight muscles & balance energy centers in the body. Holding heated stones and applying gentle pressure give warmth that is comforting. It’s good for people who have muscle tension. Temporary, Permanent, Curls, Half Perm, Full Perm,Hair Color,Root Touch up, Global Fashion, Full Head Color, Half Head Color, Per Stick, Dry and Damage Hair Spa, Normal Wash and Blow Dry, StylishÂ Wash and Blow Dry, Iron, Toning, Outcurl, In Â Curl, Crumping. 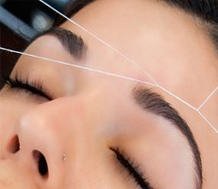 Threading is a method of hair removal originating in Asia.In more recent times it has gained popularity in Western countries,especially with a cosmetic application (particularly for removing/shaping eyebrows). A skin treatment that cleanses, exfoliates, moisturizes and rejuvenates the skin of the face. 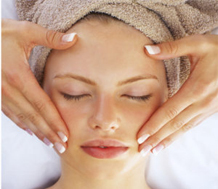 Facials is a great way to keep the skin looking radiant and prevent signs of aging. A skin treatment that cleanses, exfoliates, moisturizes and rejuvenates the skin of the face using fruit packs. 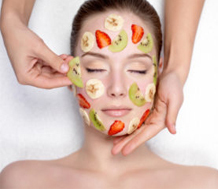 Fruit facials is a great way to keep the skin looking radiant and relaxed instantly and prevent signs of aging. 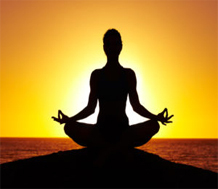 Yoga is completely system of physical and mental training. It helps to lower blood pressure and improves circulation, helping the heart function more effectively. 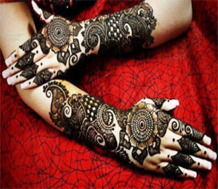 A cosmetic treatment for the hands consisting of filling and shaping the nails, massage and the application of polish. Different skin types will be treated with a particular scrub, to cleanse and nourish the skin. A paste rubs away the dead skin cells on the surface, revealing the softer, younger cells just below. Reflexology is base on the belief that there are reflex areas on the feet and hands corresponding to all the parts of the body including major organs. 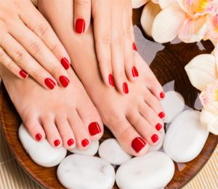 It is believed that applying pressure to specific areas on the feet and hands can affect internal organs and body systems, and there fore promote good health. A spinal massage is best given as part of an overall body or back massage. For an initial general massage on may or may not use massage oil. Spinal massage relives stress and anxiety. The massage is specially provided to those people who go for short or long trek. It is a mixture of Thai and Ayurvedic massage where the trekkers get relief from many agonies. Head and shoulder massage improves blood circulation to the head, relaxing to muscle and nerve fibers. It helps to refresh both the mind and the body. 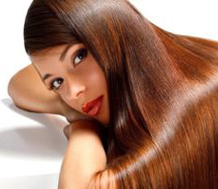 It nourishes, lubricates and strengthens the hair roots and the skin of the scalp. Deep tissue Massage is one kind of massage technique that focuses on the deeper layers of muscle tissues.It aims to release the chronic patterns on the contracted areas, either following or going across the fibers of the muscles, tendons and fascia. Copyright © Haven Retreat Spa. All Right Reserved.